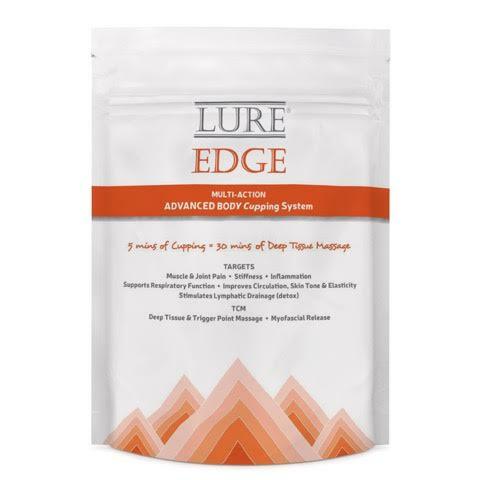 LURE™ Cups – Anti-Cellulite massage cupping in Toronto that you can do at home! If you are looking for an anti-cellulite treatment Toronto, we can help with anti-cellulite oils, massage tools, laser treatments, and LURE™ massage cups. Massage cups work beautifully on their own or as add-ons to a number of technologies. 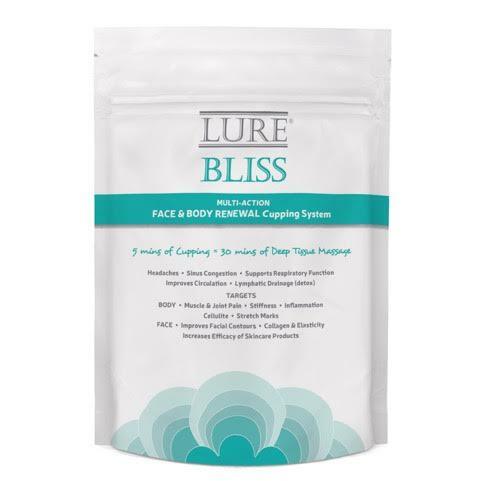 Anti-cellulite Cupping addresses cellulite at its core by stretching muscle and connective tissues via “negative” or reverse massaging action. Adhesion (dimpling) is loosened, and draining of the lymphatic system helps remove fat, toxins and metabolic waste. The result is firmer more even skin, improved muscle tone and in some cases, circumferential inch reduction. Stagnation is moved to increase lymphatic flow and circulation. support physio or therapeutic* treatments. by pro-athletes to boost circulation, reduce muscle stiffness and improve range of motion. reduce appearance of stretch marks due to improved skin elasticity. reduce cellulite by improving circulation, detoxifying and breaking up fascial adhesions that causes cellulite. To facilitate smooth movement of the cup, apply oil to dry skin or use on wet skin with soap or a body wash in the shower. Place the cup on massage area, press or squeeze the top and release to create a gentle suction. Control the degree of suction by simply squeezing the cups more or less. Increase the intensity of vacuum suction gradually to avoid sever discomfort. Avoid pressing down on the cup, rather slightly pulling away as you glide to create a “negative pressure”. Move the cup up and down, in circular or zig-zag motion to breakdown cellulite and stagnation pockets. One massage is completed, “drain” or massage upward from your ankles toward your lymph nodes to help detoxify your lymph system. Finish with our favourite moisturizer. When the blood and lymph circulation is sluggish or compressed in an area, or blood cannot be spread to the cells, waste by-products start to clog up the system. Suction between the cup and the skin causes the muscle and skin to separate, slightly, allowing for cellular waste products in the muscles and fascia to be drawn towards the skin. This helps release knots and tension while drawing stagnated blood out of muscles and into skin, where it is more easily expelled. Ultimately, downtime is minimized and recovery speeds up. Avoid cupping if your are energetically depleted, fasting, have low blood pressure, on blood thinners, elderly, or child. CONSULT Physican re. medical conditions.